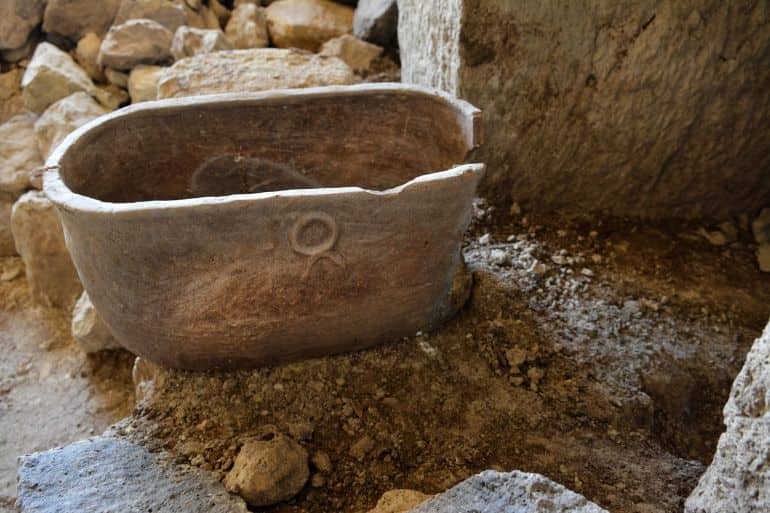 Municipality contractors at Tiberias – an Israeli city on the western shore of the Sea of Galilee – have accidentally uncovered a 2,000-year-old burial cave while building a new neighborhood. As part of the construction project, the team had drilled a 20-meter (around 65 feet) deep foundation hole, which they then proceeded to plug using concrete. However, when the concrete started disappearing mysteriously, the builders embarked on an investigation with the help of a mechanical digger. It was then that they stumbled across the cave entrance. Spanning three rooms, the ancient burial cave houses a decorated entryway, in addition to two burial chambers. The large centrally-located room has several decorated ceramic and stone ossuaries as well as burial niches. The inner chamber, on the other hand, is slightly smaller. It was here that the concrete was discovered. The burial cave is a fascinating discovery since it is an almost unique find in this area. The high-quality rock-hewing, the complexity of the cave, the decorations, and the Greek inscriptions point to the cave belonging to a wealthy family, who lived in the area in the Roman period. It just means that the people buried in the cave had been people who knew Greek. It doesn’t speak to their Judaism but to their internationality, their multiculturalism. They would have had cultural ties with Greek-speaking people. Jews could keep their mitzvot and write on their graves in Greek. 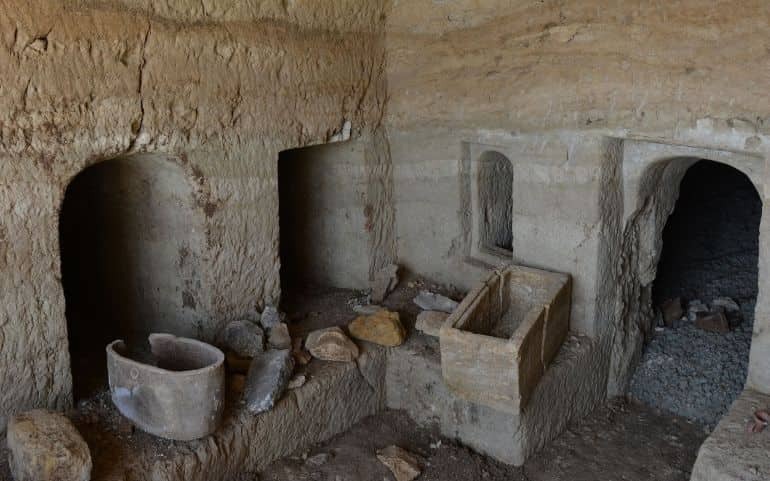 In order to date the ancient catacomb, the archaeologists closely studied the ossuaries and cremation niches recovered from the site. While ossuary is a container or room that has historically served as the final resting place of human skeletal remains – and is still used by the Eastern Orthodox – a niche basically refers to an above-ground burial space where a decedent’s urn, containing their cremated remains, is placed inside and sealed. 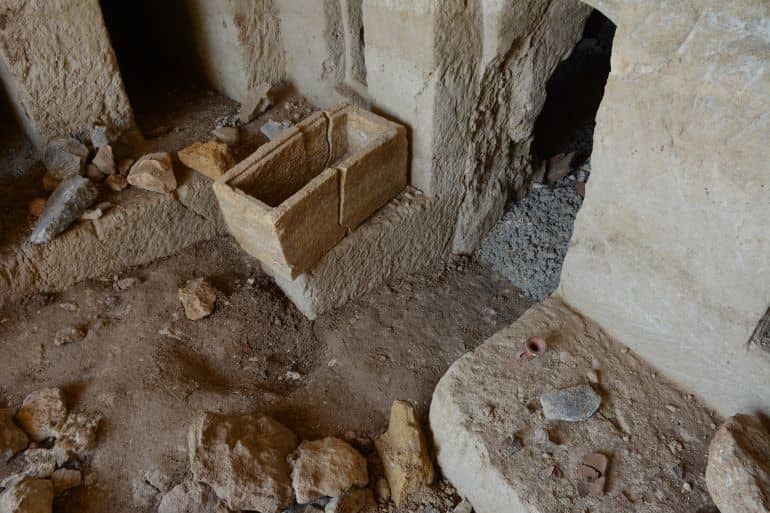 Between circa 1st century BC and 2nd century AD, burial practices of the region involved laying out the deceased in niches and then coming back a year later to gather the bones and place them inside small ceramic ossuaries. This, as per Amitsur, was the origin of the Jewish practice of visiting a grave after the first yahrzeit. After 2nd century AD, people of the region started leaving the body of the dead in a niche inside a sarcophagus. Carved from rock, the ancient structure is one of the only two burial caves found in the region. One can, however, find such caves in other parts of Israel, particularly Beit Shearim and Jerusalem. Named after Roman Emperor Tiberius, the city of Tiberias was founded by Herod Antipas, the son of Herod the Great and Jewish ruler of the Galilee, in circa 18 AD. Hailed as an important center of Judaism from the middle of the 2nd century, the area later became one of Judaism’s Four Holy Cities – along with Jerusalem, Hebron and Safed – in circa 16th century AD. In the Roman and Byzantine periods, several smaller villages grew up on the outskirts of the city, including Beit Maon, the home of Resh Lakish, Kofra, Be’er Meziga, and others. 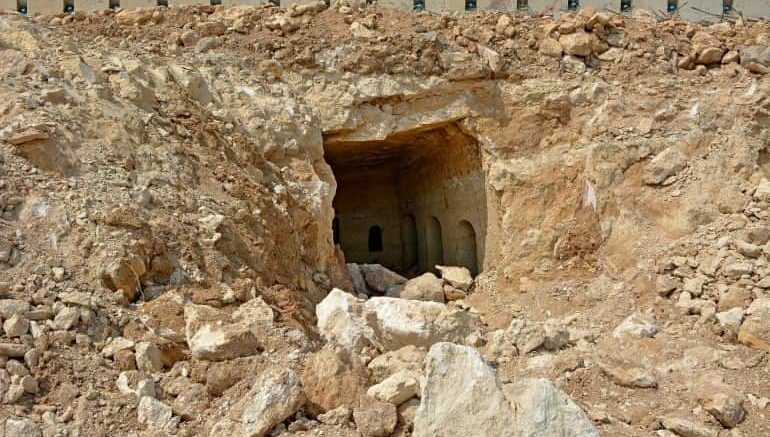 With the burial cave undergoing further testing, Major of Tiberias Yossi Ben David has assured that the construction plan will be adjusted, so as to protect the 2,000-year-old structure.